What a colorful welcome home. The top shot is just wonderful with texture of the wall and the combination of red and green. 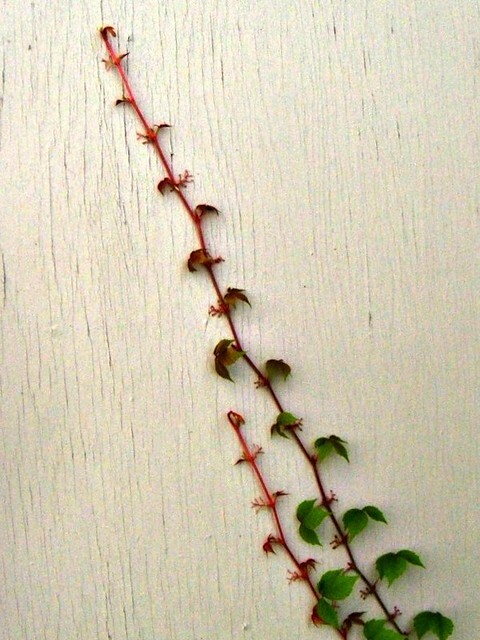 I so appreciate seeing this healthy growing vine this morning, a reminder to just go with the flow! Is that poisen ivy. Don't want to be a spoil sport and I hope I am wrong. 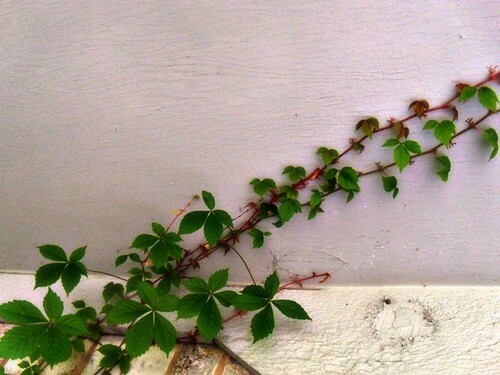 i love a climbing vine as long as it's not poison ivy - i think that is virginia creeper - am i right? and I think it is growing a couple of inches each day !! Who doesn't love climbing ivy? 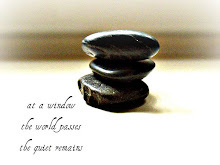 Lovely images and a wonderful metaphor! I'd love a cottage all covered in creeping vines. Gorgeous! Such simple beauty. Such deep joy. 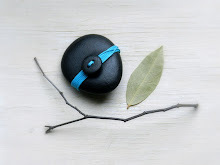 Exquisite simplicity..and such beautiful color! Yes, that would also make me smile. Bits of green are finally popping out here, bright fuzzy green leaves on trees. Yes, you are right, there is no place like home...whether gone for a few hours or a few days. Always climbing up to keep our eyes looking up. It's a beautiful reminder. No, not poison ivy - that's leaves of three. 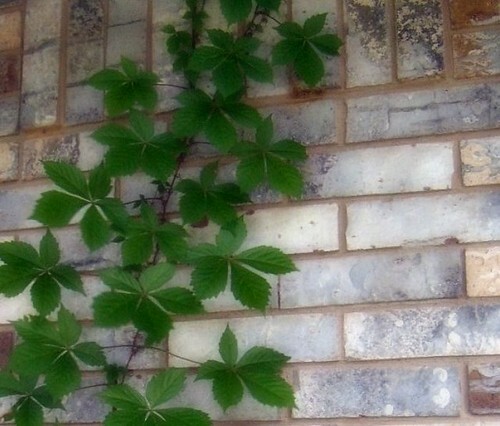 This looks like Virginia Creeper. You've painted a pretty picture of it, too!